This tunnel was always scary to walk or ride your bike through, especially at night. Walking down this tunnel felt like forever. I couldn’t reach the end fast enough. I have many memories, both good and bad, of walking down this tunnel that connects the 191st Street #1 train to Broadway. 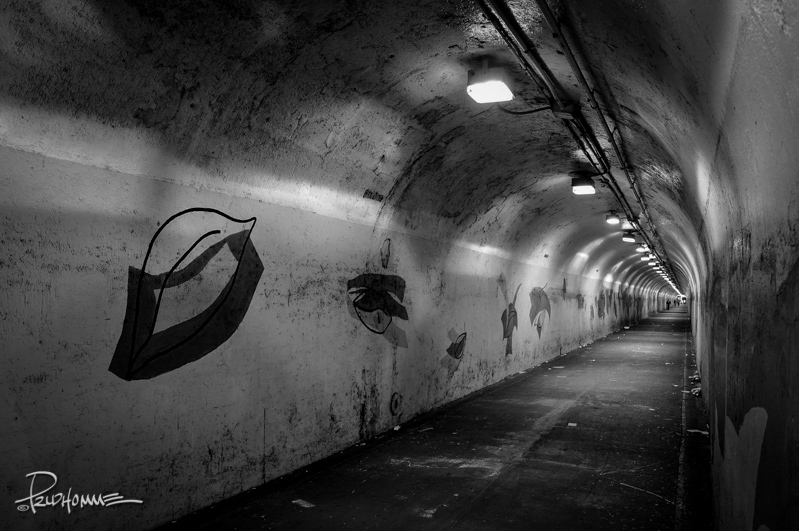 One person in recent years lost his life in this dark and long tunnel, a victim of some forgotten violent act. It’s often said that when we pass on, we also pass through a tunnel but instead of it being dark, oppressive and filled with fear and the unknown, this particular tunnel is illuminated with a brilliant light that does not hurt your eyes and infinite love permeates all around it. I hope that this is true and I wish to believe it. In the End however, we all will ultimately find out. A short post, but a powerful one. There were similar places where I grew up in Boston, but nothing as long as that.